Spoiler Alert: Prepare your ears for the squealing that was heard around the world because… Malec fluff. That’s right my friends. As a diehard Malec fan, my heart got broken and repaired a thousand times over in this episode. So what exactly happened that made Malec fans all over the world squee with glee? While the other Shadowhunters continue to look for a way to stomp out the annoying cockroach that is Jonathan, Alec removed himself from all the action this episode to focus on his soulmate. Feeling the repercussions of the magic transfer, Magnus’s body sends him into a coma for the majority of the episode. Turns out that much like blood transfusions and organ transplants, a warlock’s body can also refuse another’s magic. 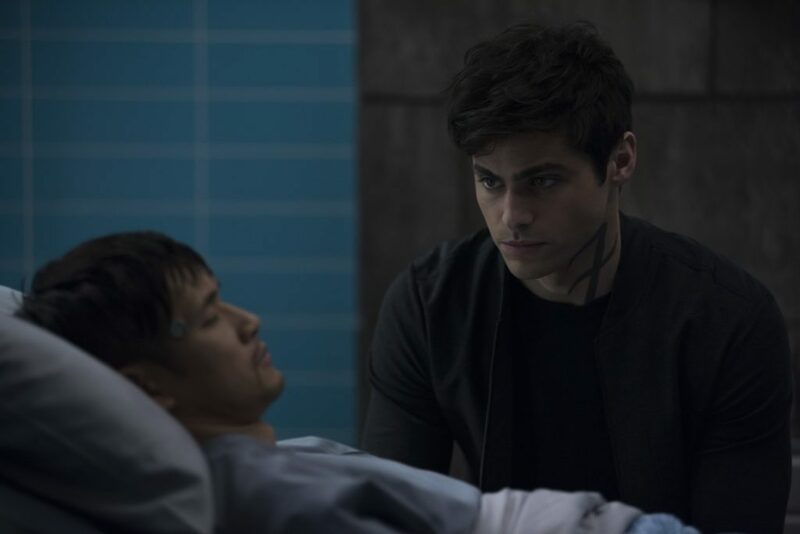 Alec is furious at Lorenzo, believing that the other warlock agreed to the transfusion knowing full well that this was going to happen. So when he finds out that only Lorenzo can save Magnus (Harry Shum Jr.)now, naturally, our young Shadowhunter confronts the high warlock. But surprisingly, it isn’t to threaten the warlock. Instead, we see a different reaction. The normally stoic and ‘rule-abiding’ Alec (Matt Daddario)all but pleads with Lorenzo to save Magnus. Never have we seen Alec beg I don’t think. But to save Magnus’s life, his unconditional love will make him do anything – even if it means to beg. We’ve seen Magnus struggle with his identity without magic throughout the episode. It’s actually probably main story arc and as we near the end of the season, we see Magnus finally begin to accept himself without magic. After Lorenzo saves him and Magnus finally wakes from his coma, he surprises his boyfriend by relinquishing his magic, thereby returning it to its rightful owner. Remember, his desperation to have magic was what got our two boys into this situation. Talk about doing a complete 180. For someone who’s complete identity was based around being able to do magic, this is a huge huge indicator of Magnus and Alec’s relationship. Speaking of relationship, looks like Alec is thinking of taking it one step further as we end this episode with a heart-to-heart conversation between mother and son. 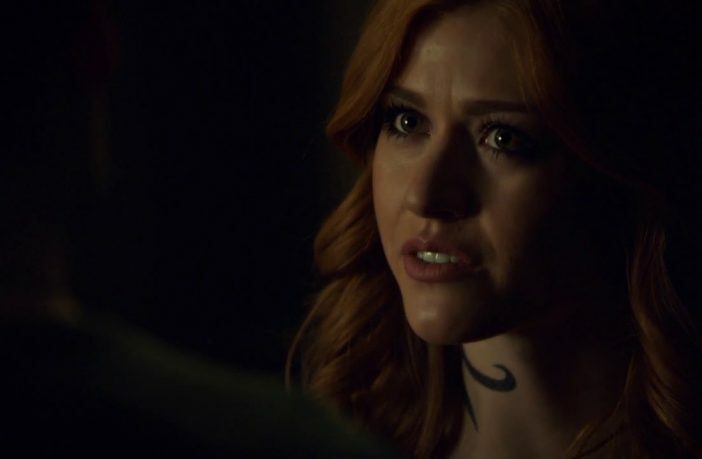 I must admit, I didn’t see this coming but can’t help but feel some warm fuzzies inside at the thought that back in season one, Alec couldn’t even admit to himself that he was gay and now, two season later, he’s the one asking his mom for the family ring so that he can propose. Thought I’d forget about everything that happened in this episode? Think again. 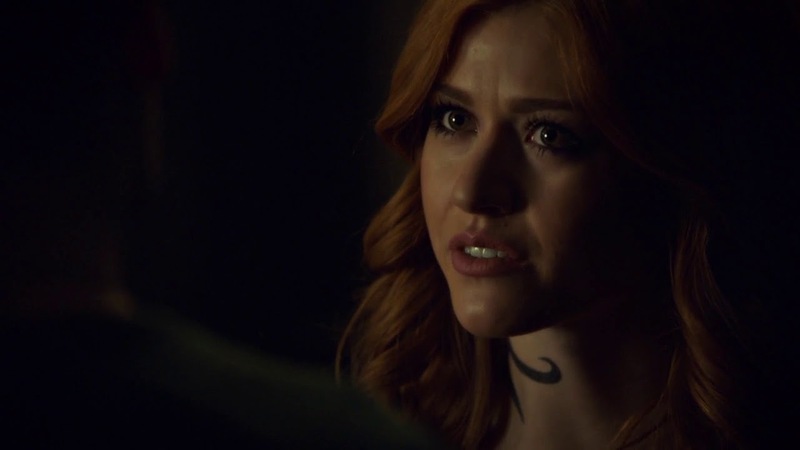 So while our two boys were figuring out how to redefine themselves without magic, poor Clary (Kat McNamara) was still fighting against the thorn in her side. When is Jonathan (Luke Baines) going to get the picture that he’s not loved or wanted by his sister? Blood is not always thicker than water. 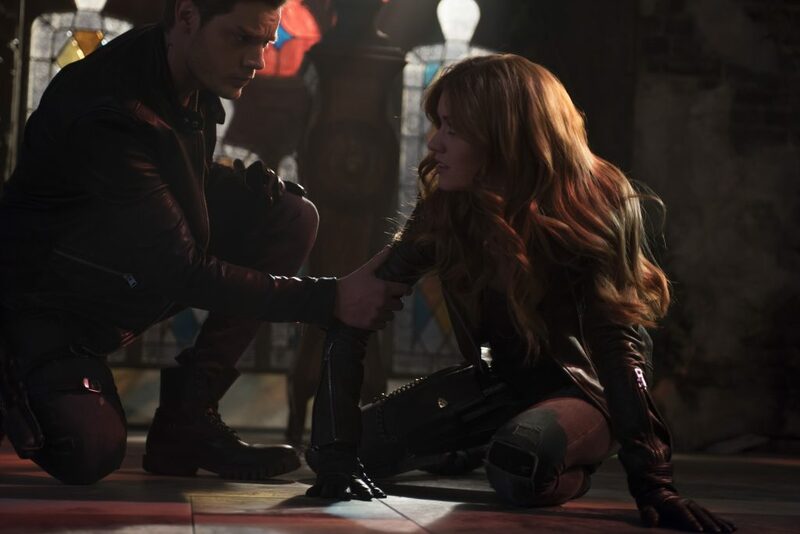 Thankfully, Clary didn’t have to fight him alone. With the help of her boyfriend and best friend, she was able to fight against Jonathan’s witchy mind control thing and send him back to where he belonged. And with that I bid you adieu. See you next week ShadowFam!